Making a difference in People's Lives. Call Now! Check out this 5 star review by Amanda Tambourine: Robin and Bianca were wonderful! I had A LOT of questions because I had never been in my situation before and they were so patient and kind in answering ALL of my questions 🙂 I HIGHLY recommend this Law Firm to everyone! Law Office of Julie Johnson - Top Rated firm specializing in car accident and personal injury claims as well as divorce and child custody matters. Julie has been representing clients since 1991 and achieves exceptional results. Check out this 5 star review by Aaron Aguilar posted on Google+: "I was involved in an accident in which I was injured. I had a consultation and they were up front, concise and explained the process to me. I provided the information and paperwork I had and they took over from there. They dealt with insurance companies for me and handled everything. There's no way I would have been able to navigate through the process, I am glad I had them on my side. I can't recommend them enough!" Law Office of Julie Johnson, P.L.L.C. - Top Rated firm specializing in car accident and personal injury claims as well as divorce and child custody matters. 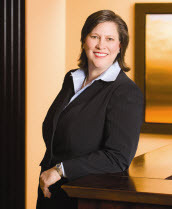 Julie has been representing clients since 1991 and achieves exceptional results.